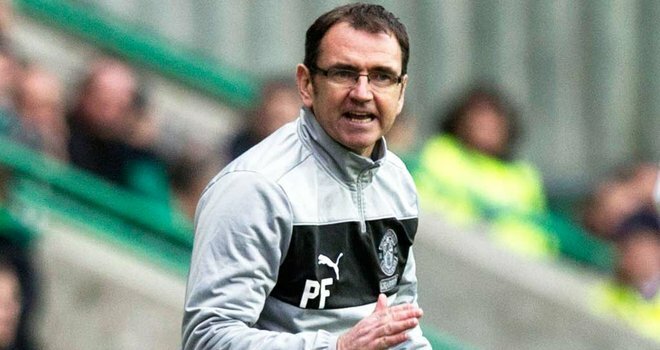 In the aftermath of Hibernian’s League Cup exit to bitter city rivals, Hearts, there has been a lot of turmoil surrounding a lot of people, the Hibs players, Rod Petrie, the chairman, and last but certainly not least, manager Pat Fenlon. The loss was the second to their rivals so far this season, having lost their away league fixture 1-0 back in August. Such is the fierceness of the rivalry, emotions can easily boil over in the heat of defeat, but in the grand scheme of all things considered were the group of fans right to protest calling for Fenlon’s sacking after the game? Let’s take a look and stretch our memories back a few months back in the interest of a better context. When the former Bohemians and Shelbourne boss was appointed as Hibernian manager in November 2011 the club were in a desperate position nearing the half-way point of their season. He was initially left to work with a squad of players which had been assembled by previous manager, Kevin Calderwood, thus making a slow start, taking just one point from his opening five league games. The following January, Felon took the opportunity to revamp his struggling squad adding key players such as now captain, James McPake. Hibs reached the SFA Cup Final the following May but were trumped by rivals Hearts 5-1 in the final, the hurt of which still lingers today. Ultimately Fenlon managed to keep the Hibees in the SPL having found his squad floundering in second-last when he arrived and began to build for his first full campaign adding no less than 10 new players to his squad.